Similarly, all customs checkpoints outside the ports areas have been ordered to be removed. Compliance is to be effected on or before 11th August 2017. 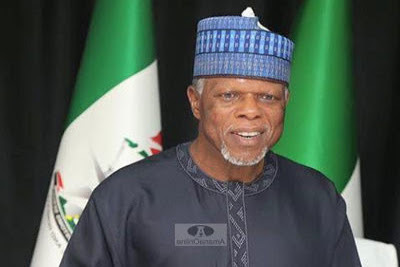 Approved checkpoints within the geographical stipulation of 40 km will also be published on the website of the Nigerian customs service. Only two customs checkpoints are approved for Lagos – Badagry – Seme Road. Already, LCCI in collaboration with other private sector bodies will monitor and track the implementation of this directive. Reduce the disruptive activities to domestic trade resulting from the presence of customs checkpoints on the highways. Put an end to the needless embarrassment caused innocent motorists and vehicle owners through the demand for import duty receipts and revaluation of duty payments by customs operatives on the highways. Reduce extortion by customs operatives on the highways. “We reiterate the need for an effective implementation framework for the is laudable policy geared towards improving the ease of doing business and restoring order in the way public institutions discharge their responsibilities. “This order was at the instance of the Presidential Enabling Business Environmental Council [PEBEC]. This is a major step towards the realization of the council’s mandate of promoting the ease of doing business in Nigeria. Many traders and individual car owners had suffered untold hardship because of the numerous checkpoints on the highways in various parts of the country mounted by operatives of the Nigeria customs service. "The streamlining of their operations is therefore a welcome development. Their activities are many times arbitrary, especially on issues of vehicle valuation and documents certifications on the highways, which often results in extortion. "The development is a clear demonstration of the responsiveness of the present administration to complaints of the private sector on business environment issues. It is also complements earlier Executive Orders issued by the Acting President, Prof Yemi Osinbajo. “The LCCI congratulates the PEBEC secretariat and the leadership of the Nigeria customs service for this bold move. We demand that other security agencies whose activities also disrupt domestic trade through the ubiquitous check points should take a cue from the Nigeria customs service. “Domestic trade generates perhaps the largest number of jobs in the economy, next to agriculture. It also contributes 16% of the country’s Gross Domestic Product [GDP]. It needs all the protection that the government can give. The sector is also very critical in the value chain of the real sector such as manufacturing, agriculture, solid minerals and oil and gas. After all whatever is produced must be distributed for value delivery to end users or the final consumer.